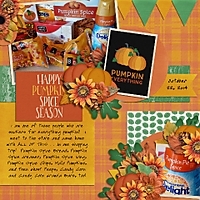 YOU are a true nut for all things pumpkin!!! I love that you took pictures of all of that - and everytime I see pumpkin, I think of you! 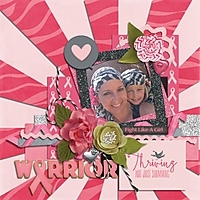 Perfect kit for all your treasures! Your clustering is awesome!!!! 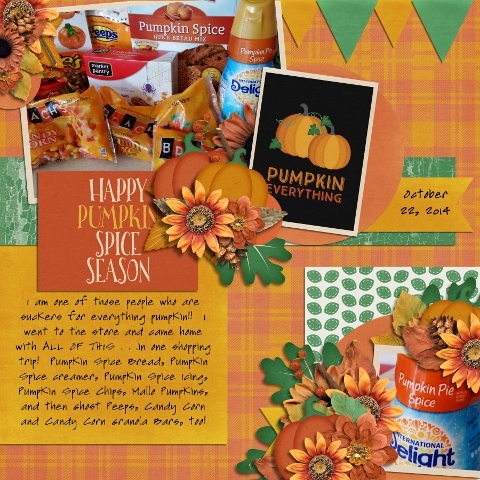 Wonderful journaling about your pumpkin shopping trip. The colors of the kit are fabulous with the greens popping against the orange.